a) fruit, vegetables, seeds, floriculture; b) viticulture, oenology and olive oil; c) cereals, beets and oilseed crops; d) bio-energy. The CRPV members are producers associations, institutes for technical assistance and professional education, provincial administrations and the main economic organizations. 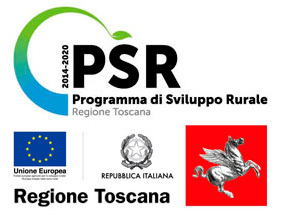 CRPV, registered in Europe as a SME, in 1998 received the acknowledgment by the Emilia-Romagna Region as centre for planning, research co-ordination, experimentation and results' diffusion. Its mission is to promote, coordinate and manage research and experimental projects on agro-food sector and spread the emerging results to the agricultural production system. The beneficiaries of these projects are in fact the producers and stakeholders of the agro-food sector. dissemination of research results and technologies transfer. CRPV is able to provide considerable experience for what concerns the experimental field activities and assessments on the IPM and biological control of pests and pathogens affecting vegetable and fruit crops, weeds control as well as for dissemination of results about crops production research. CRPV has availability of facilities like experimental vineyards, orchards, greenhouses, equipped laboratories for chemical, biochemical, bio-molecular and microbiological analyses. CRPV is also linked to other organizations, which are specialized in different topics like test facilities, experimental farms, I.C.T. enterprises, etc. The participation in working life of such structures provides possibilities of interdisciplinary collaborations. CRPV has very large experience in dissemination of results to stakeholders at local/national/EU level. Other Services: technology transfer, data bank management, guidelines for IPM application updating, new variety production, tracing of supply chain, accounting and administrative support.